Collingswood’s Nancy O’Neill won her 400th career game on Tuesday. Nancy O'Neill collected her 400th career win Tuesday, courtesy of her daughter Lauren's game-winning bucket with six seconds remaining, as the Collingswood girls' basketball team edged Haddon Heights, 22-20. 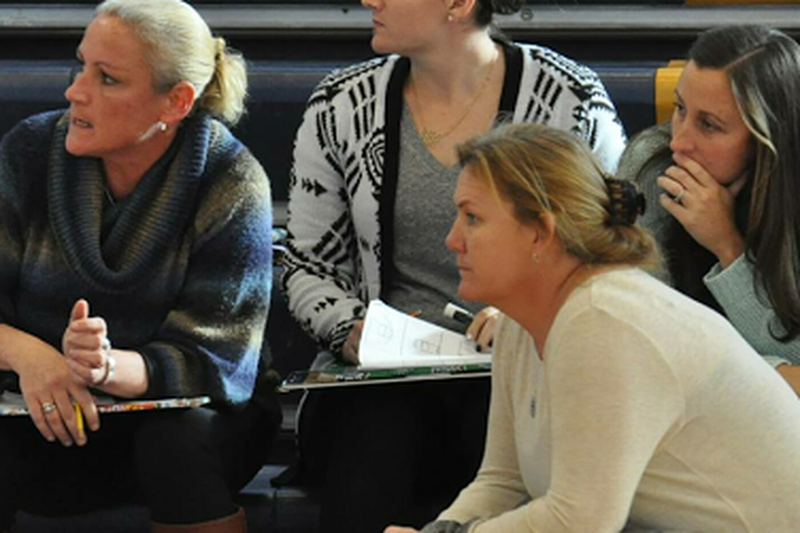 O'Neill has had the privilege of coaching all five of her daughters at Collingswood. Nancy's oldest Ellie, graduated in 2013, while twins Meghan and Molly followed suite in 2015. Lauren is currently a sophomore, and is playing with sister, Bobbi, who is a junior and was the second leading scorer in today's game with five points. "There's so many pluses and it's so rewarding," Nancy said of coaching all of her daughters in high school. "There's a fine line between being their mom and being their coach, but I wouldn't have it any other way. It's allowed me to follow my passion as a coach and watch them play." Having her youngest daughter directly involved in the outcome of such a big milestone is fitting. "It was amazing that it was her in the end [that scored the game-winning basket]," she said. "It makes it a little more special." Ellie will not be able to make Collingswood's next home game on Monday, as she's in South Africa on a student teaching tour, but Meghan and Molly, who are attending Rutgers at New Brunswick and Kutztown respectively, plan to come home to celebrate their mom's 400th win. An achievement that has the imprint of an entire family.